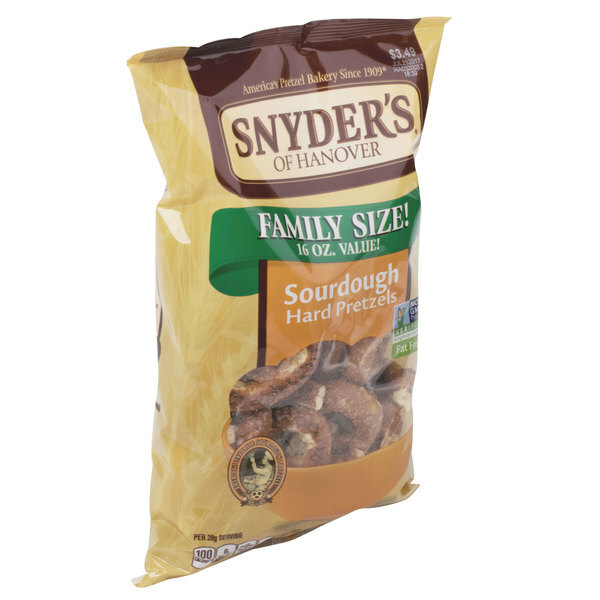 These Snyder's sourdough hard pretzels are crafted from time-honored recipes and baked to crispy, crunchy perfection! 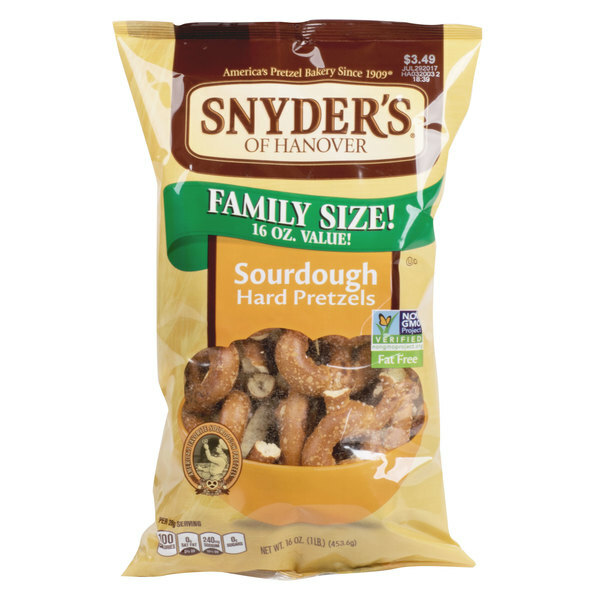 Snyder's of Hanover prides themselves on pretzels made from wholesome, natural ingredients. They're carefully kneaded, individually twisted, and oven-baked to provide optimal texture, freshness, and flavor. Snyder's delivers delicious pretzels in many different styles, making them a leader of the pretzel industry. 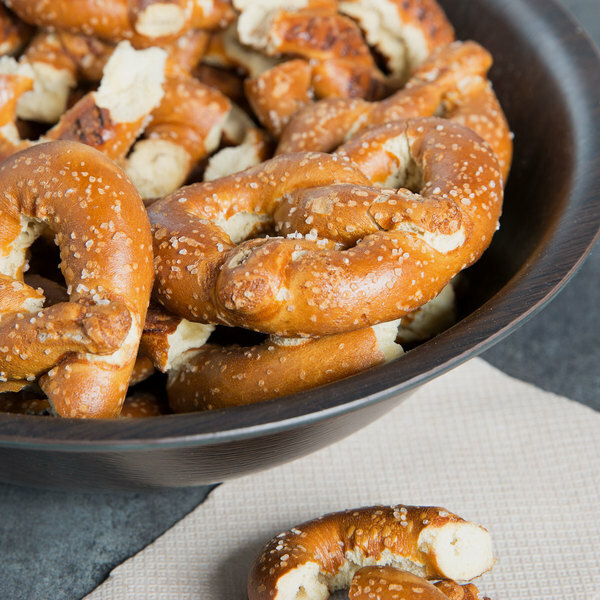 These classic pretzels make the perfect snack for your bar, cafe, deli, or concession stand! Serve them alongside dips, mustard, or other condiments of your choice, and they're great for the whole table to share. 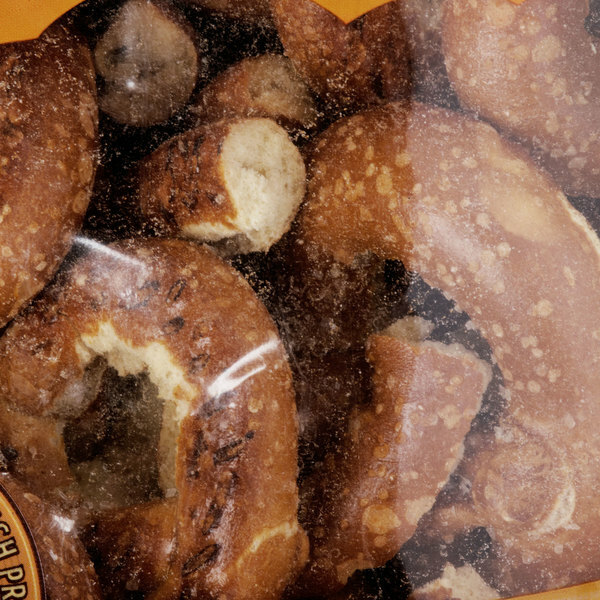 Made from genuine, aged sourdough, these salted pretzels have a large size. They are fat free and contain no preservatives. 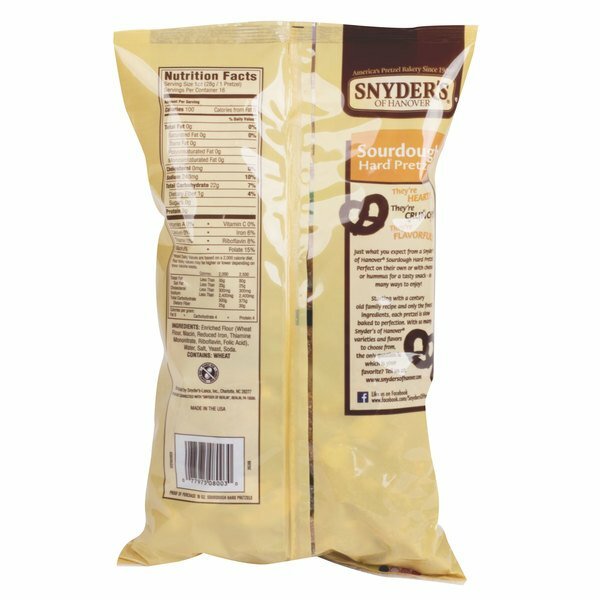 Great for parties and special events, these Snyder's pretzels have the traditional, hearty flavor your guests are sure to love! Love these big crunchy sourdough pretzels from Snyder's of Hanover. The pretzels are great for making confections. I do wish so many did not arrive broken but would still buy again. They are great. These are great pretzels. They are crunchy and full of hardy flavor. They have plenty of salt and are a great snack dipped in cheese sauce or mustard. A good number of the pretzels will be somewhat broken in transit, but it really doesnt affect the quality or experience. The amount of breakage will be only slightly higher than getting them at the grocery store, in our experience. We love these and always have them in the house.